Happy (almost) Friday, friends! Today I've got a fun tutorial for a Glow-in-the-Dark Halloween Banner. And, news flash, Halloween is right around the corner! I know this because on Wednesday my neighbors pulled out the faux spiderweb stuff and wrapped their entire house in it. Without even looking at a calendar, I knew there were precisely 2 weeks until Halloween. Yes, I can track the date based on the behavioral patterns of my neighbors. Can't you? Anyway, before I dive into that tutorial I mentioned, I wanted to tell you about a FUN concept for the craft and party lover. Celebrate Crate is a monthly subscription box filled with party supplies and ideas. 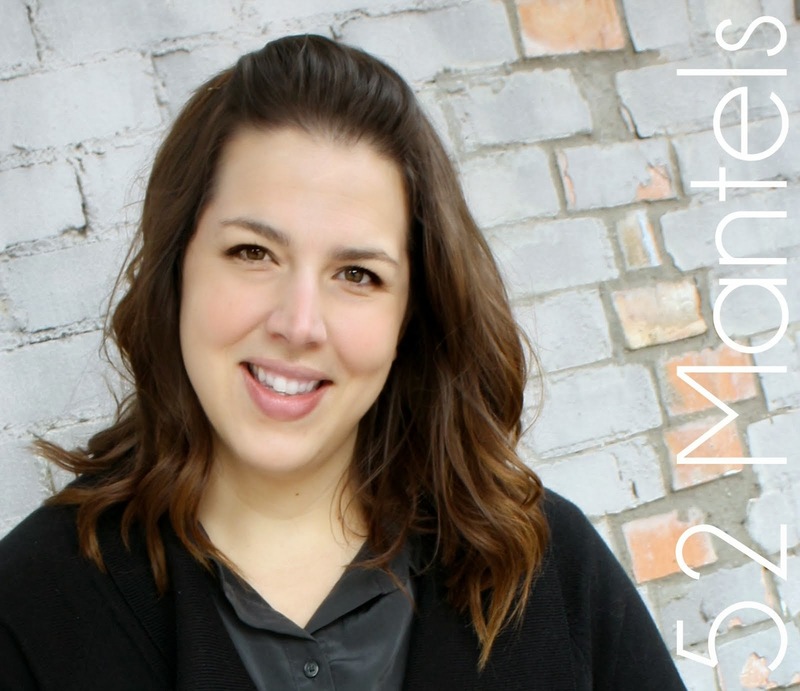 And, the contents are a complete surprise every month! How awesome is that?! They sent me their October "crate" and, I'm not even lying, it was like Christmas. I loved diving in and seeing what my treats were! See? I was so excited I shared on Instagram! Being October, the contents were, of course, Halloween themed! Fun, huh? 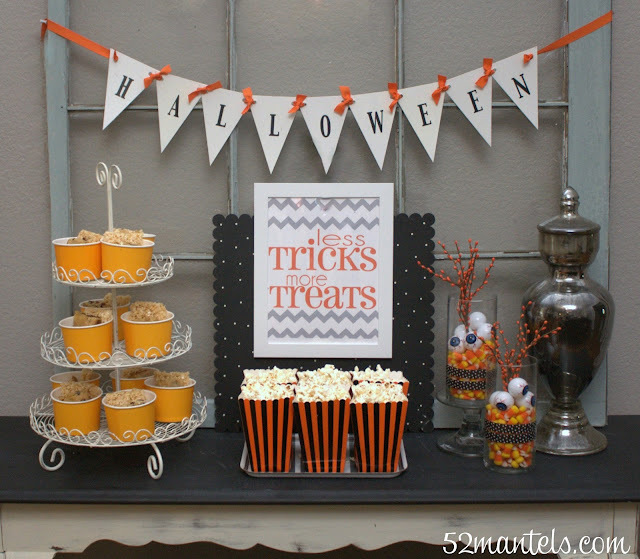 Last weekend I hosted a girls' craft night and was able to use some my Halloween party supplies! 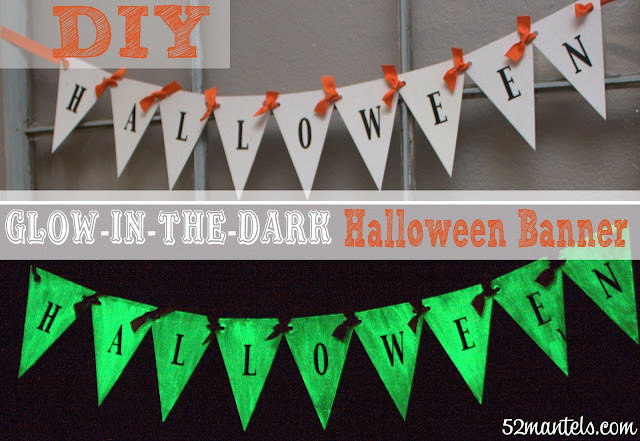 I decided to use the Glow in the Dark paint for a Halloween banner, and I'll share that quick tutorial now. 1) Gather supplies. Use a craft paint brush to paint 2-3 coats of glow-in-the-dark paint on the front of your chipboard pennants. 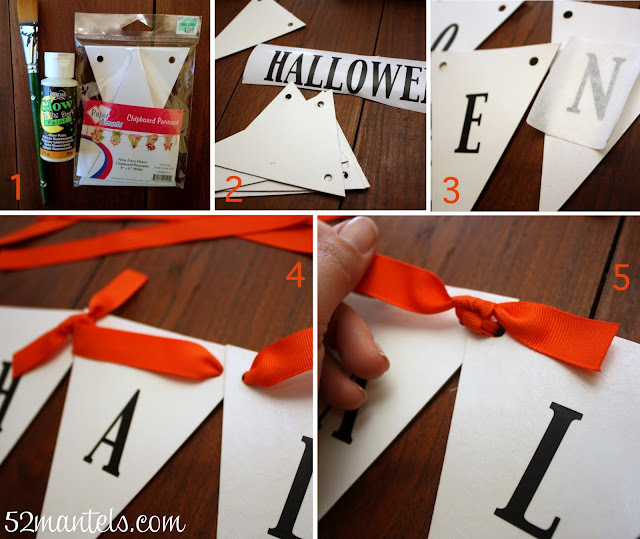 Paint goes on and dries clear 2) Gather sticker letters to spell Halloween or use a vinyl cutter 3) Place one letter on each pennant 4) Cute orange ribbon into 8 equal lengths (about 3 inches each) and then 2 longer lengths for the ends 5) Tie each pennant to the neighboring pennant using a length of ribbon. Tie longer lengths to the two ends. When the lights go out, the banner is a spooooky, glowing surprise! I love the way it turned out. Of course, I didn't JUST use the paint, I also used the googly ping-pong eyeballs in a simple candy corn arrangement. 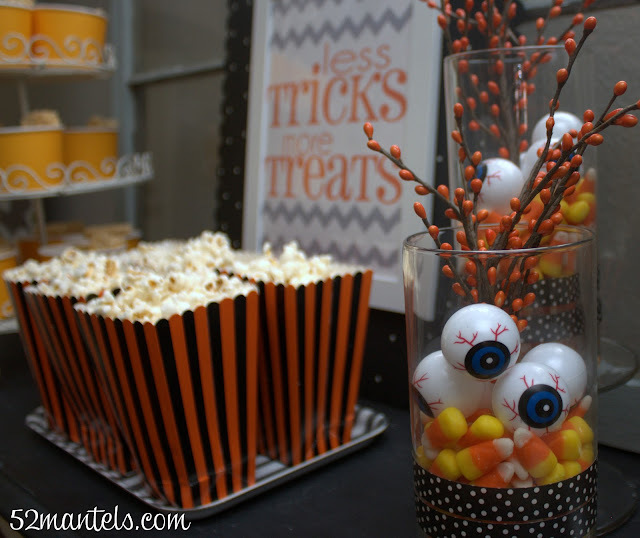 I filled two Dollar Tree vases with candy corn and then the eyeballs. Then I took sprigs of orange berries (from the floral department at Joann) and stuck that into the vase. I added some washi tape trim and called it done! Easy as can be. 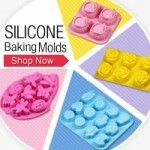 I also couldn't resist the fun ice cube tray! Instead of ice, I melted marshmallows and spooned that into the tray. I let the marshmallows reset in the freezer before removing them from tray. I will admit, this is a messy, sticky process. And, it's not exactly easy. The crossbones didn't come out looking like crossbones, but the skulls held up pretty well. It's a lot of work, but worth it when you're sipping hot cocoa with skull marshmallows! 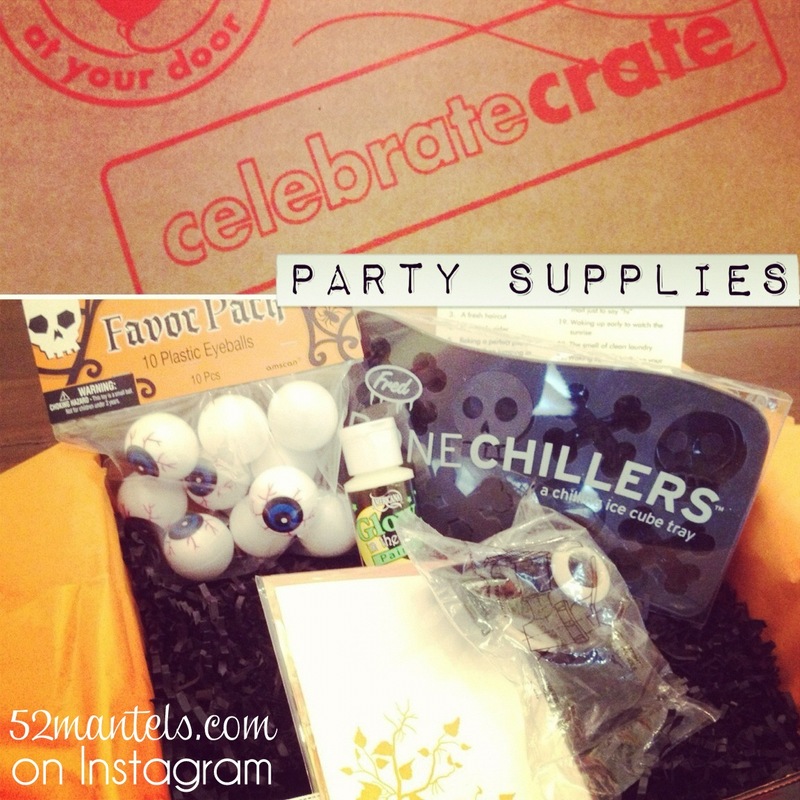 I had so much fun using the supplies from my Celebrate Crate box and I love the concept! Go check out their site when you get a chance. I think you'll love it too! very cute!! love how well it glows!! How cool is a glow in the dark banner? Really cool if you ask me. Glow in the dark?? What a creative and amazing idea! So cute! Kindly allow me know in order that I may subscribe. Thanks. easier due to the emergence of several social networking sites. It has been much-admired for personal use and professional use from the time of its establishment. and out. Samsung packs its new smartphones with either a dual-core 1. Useful info. Fortunate mme I discovered your web site by chance, and I am stunnesd why this accident did noot happened earlier! upon this I've found It positively helpful and it has aided me out loads.